Arieyanna Williams, 17, was touched by gun violence when her father was killed. Arieyanna Williams remembers being 9 years old and staring at the two bloody handprints on a wall near the front door of her aunt’s home in Chicago. 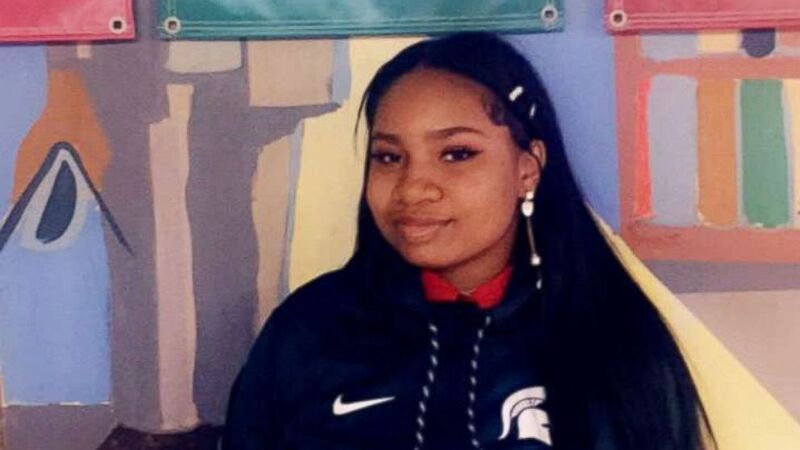 (Courtesy Arieyanna Williams) High School senior Arieyanna Williams stands in front a Michigan State flag as the college she's committed to in a hall at her elementary school in Chicago, Illinois. Writing was also an activity she could do indoors -- it was often far too dangerous to play outside in her inner-city Chicago neighborhood where sometimes innocent bystanders were shot and killed in random acts of crime-related violence. It wasn’t until sophomore year that Williams’ life began to get better. She met the man she claims helped turn her life around, Gerald Smith. In his leadership development class, Smith took notice of the introverted, articulate teen who he praises as an "outstanding writer." Williams sees herself as a role model to the younger generation, including her four younger sisters -- one, a freshman at the same school is set to become a future Peace Warrior, according to Smith. One Parkland student admitted she recognized her "white privilege" and wanted to use her platform to give the Peace Warriors representing Chicago and all inner cities across America a voice on a national platform. 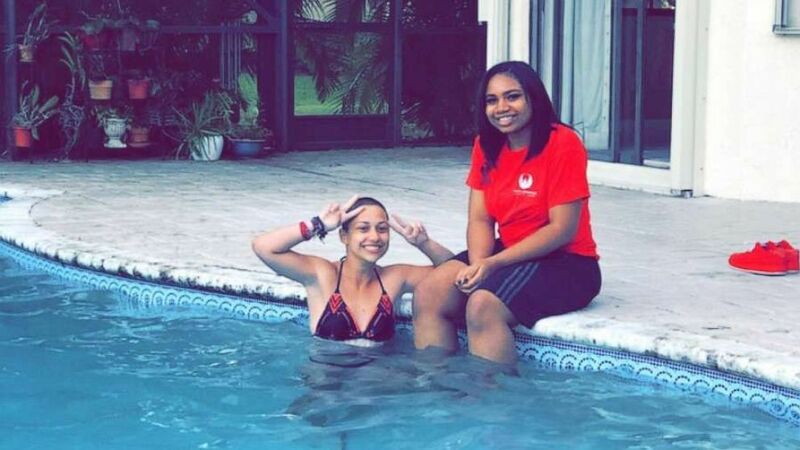 (Courtesy Chicago Peace Warrior D'Angelo McDade) "Chicago Peace Warrior Arieyanna Williams, 17, poses with Parkland High School Shooting survivor Emma Gonzalez at the pool during their meet up discussing gun reform on March 3, 2018. Although graduation is not too far away, Williams' work as a Peace Warrior will continue. For Williams' the mission is unfinished and she is determined to see it through.